Who said trees were just for Christmas? 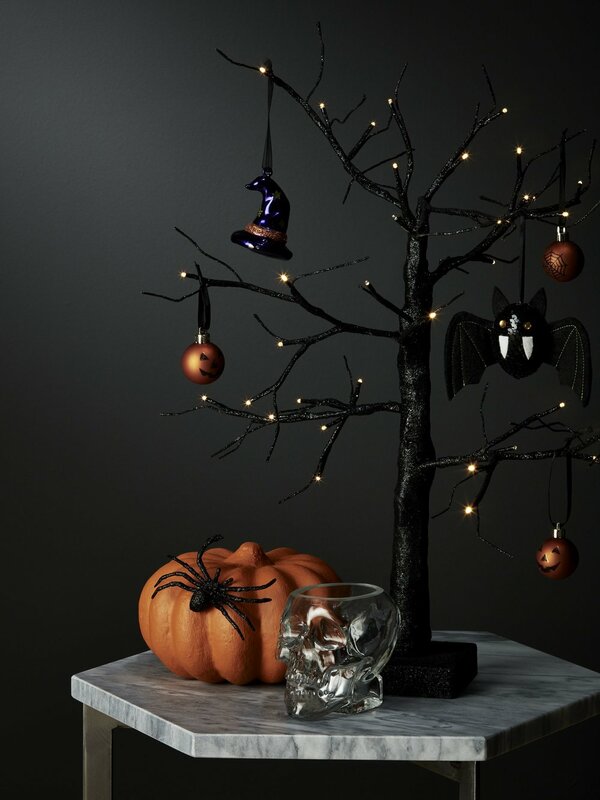 This year John Lewis & Partners has released a collection of Halloween trees to decorate your home with this month. The pre-lit trees come in varying sizes. So, if you love going all out with your decorations then go big with the 7ft tree (£80). If you prefer more subtle Halloween decorations, then the smaller size is an ideal table centrepiece and will only set you back £22. Of course, no tree would be complete without baubles and John Lewis & Partners has released a range of perfectly spooky hanging decorations to dress your tree with. The understated design makes them perfect for adding a spooky atmosphere to your home without having to go overboard. The decoration is a low-maintenance version of the popular Halloween Christmas tree that creeps up all over Pinterest this time of year. Don’t just focus on the inside decorations, John Lewis & Partners has extended its décor range to include wreaths for your front door.